Old Catholicism originated when various Catholic Churches throughout Europe separated from Roman Catholicism in the 17 and 1800s over the issue of Papal authority and other doctrinal matters of faith. However, it is important to note that we hold fast to that which has been believed everywhere, always, and by all the Faithful. 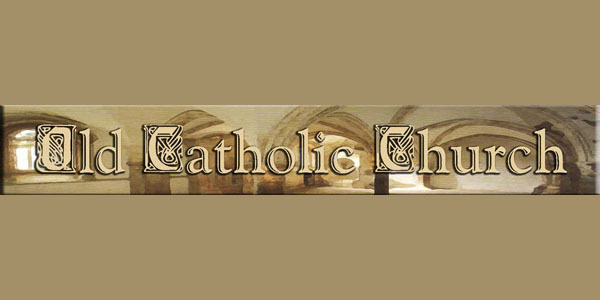 Old Catholics adhere to the ancient Catholic faith and the constitutions of the ancient Church. We do tend to hold an open approach to many issues and consider ourselves to be quite ecumenically minded. Besides being catholic in terms of communion in space, one of the marks of the Church is its apostolicity as connectedness in time. In the Old Catholic belief this mark is guaranteed by the apostolic succession through the uninterrupted laying on of hands by bishops, therefore ensuring the continuation of the whole life of the church community by word and sacrament through the years and ages. What is our relationship with the Roman Catholic Church? To answer this question more specifically, we refer you to a document that is little known to many Roman Catholics upon first hearing of the Old Catholic Church. We look to the Roman text the Dominus Iesus, a 2000 declaration by the Congregation for the Doctrine of the Faith, to justify the validity of our orders and sacraments, particularly a passage that states, "The Churches which, while not existing in perfect communion with the Catholic Church, remain united to her by means of the closest bonds, that is, by apostolic succession and a valid Eucharist, are true particular churches." Does the Roman Catholic Church Consider the Sacraments of Old Catholics as Valid? When members of the Roman Catholic Church encounter Old Catholic Churches for the first time, they are often surprised to learn that Catholic denominations exist apart from Rome. Understandably, questions are raised about the validity of Orders and Sacraments administered by Old Catholics. We hope the following information will be helpful. If you have additional questions, please do not hesitate to ﻿contact us﻿. “The principal condition is that these sacraments can be received only from validly ordained ministers. These are ministers who belong to “churches that have preserved the substance of the Eucharistic teaching, the sacraments of orders, and apostolic succession”. This would include all Eastern non - Catholic churches, the Polish National Church, Old Catholic, and Old Roman Catholic. Many are familiar with the recent Validations, Dominus Iesus issued by Pope John Paul in 2000, but there are some ancient Validations that some are not so familiar with such as; Utrecht received Rights of Autonomy from Blessed Pope Eugene III in 1145 giving the right for Archbishops to elect on their own without Vatican approval. This right was confirmed by Pope Leo in 1215 and becomes known universally as the "Leonine Privilege" and can be found in the Vatican documents. This privileged subsequently reconfirmed in two Church Councils in 1520 and 1717 giving autonomy to these churches to elect their own. For a more in-depth look into the beliefs and history of the Old Catholic Church, please visit this Wikipedia link! The world is hungry for truth, grace, and hope. You can make a difference... join the Benedictines of Mary, Old Catholic Marianists".